life of a lost muse: July Birchbox Haul! Woot! 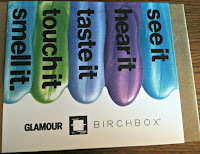 I got my July Birchbox today! 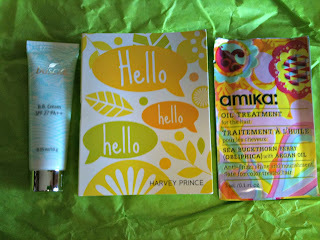 This month's box was curated by the beauty editors at Glamour magazine. 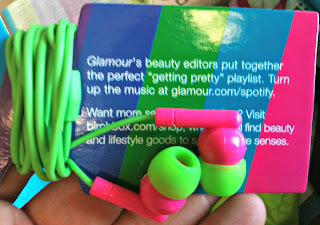 Have you read the Glamour girls blog, The Girls in the Beauty Department? It's a creative, funny place to find out about new trends, hair styles, fashion, & hilarious reads. Anyway, the theme is designed to bring you the “Five Senses” and coincides with the July issue of Glamour feature "Five Senses of Summer". 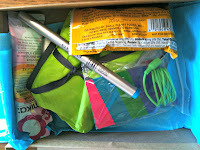 This month's box includes beauty goodies and lifestyle extras to treat each one of your senses. So let's get down to business! What was in my box? Let's break it down, give you the details and then rate the products on a 1-5 heart system. The eyeliner has a long applicator tip with fine precision. It goes on smoothly and the color is such a lovely bright turquoise. My hair is a lot softer than it was before I used this, but I'd have to buy a bottle before I knew if the results were long term. Like I said in the item above, my hair is much softer, and shinier, than before. I would have to use it more than once to know if the results are long term. While this is definitely not the type of fragrance that I normally go for, I do appreciate the unique scent. It's got more of a 'formal' scent than I normally wear but I do really like it. The cream is more of a light foundation but it does create a nice finish with a slight glow. It didn't completely cover my blemishes but it did cover them somewhat. Blech. 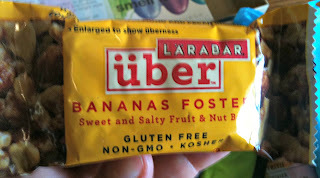 This bar was gooey and was not at all tasty. I could not be more pleased. Seriously, I love these. Neon pink & neon green are awesome together (shout out to my DZ's!. I love that they are the tiny earbuds instead of the round ones that fit inside the ear. The earbuds are comfortable & cute, with a nice long cord so you can put your mp3 player in your pocket without fear of pulling the earbuds out. 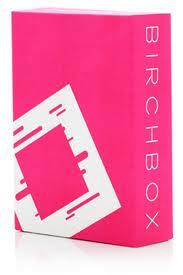 Are you a member of Birchbox? If not, it's free to join! It's only $10 per month & is filled with tons of goodies! The ear buds alone are worth more than that! If you want to join, click here!